I'd been waiting for months to see the new color so I was very excited when the first piece - a dishwasher - arrived at Big George's. 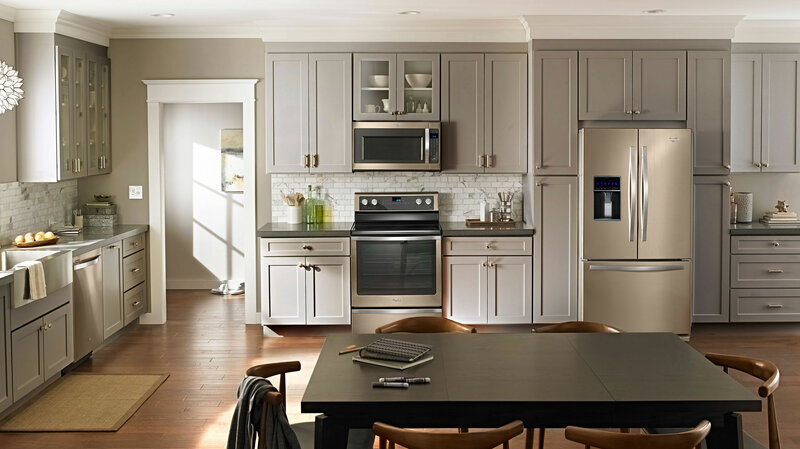 It was everything I hoped it would be: a subdued tint that's warmer than stainless and cooler than gold, with a soft brushed satin finish that's fingerprint-resistant. 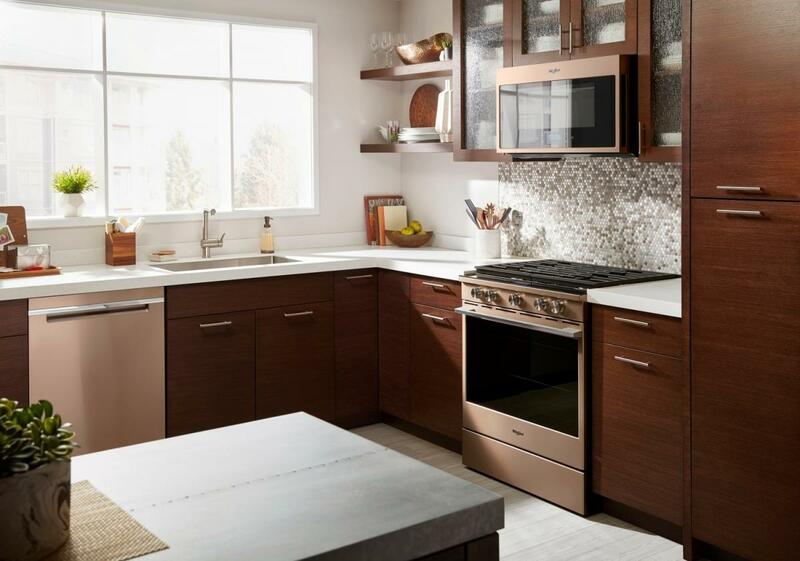 Designers are weighing in that sunset bronze will work well with white or warm-toned wood cabinetry. I agree, so if you're in the market for new appliances, you now have a new option.